Paternal Grand-dam: FAIR LOOK SI 99, $39,109, ROM, Superior race horse, 2-time Champion, 2-time World Champion. Dam of ROM, AAA, stakes winners, Superior race horses ($83,848); including STAR LOOK SI 96 ($46,170). FAIR LOOK is a full sister to EASY AMBER SI 107 (2-time Champion $20,361). Both by FAIR EASY, SI 96, 8 wins, ROM. 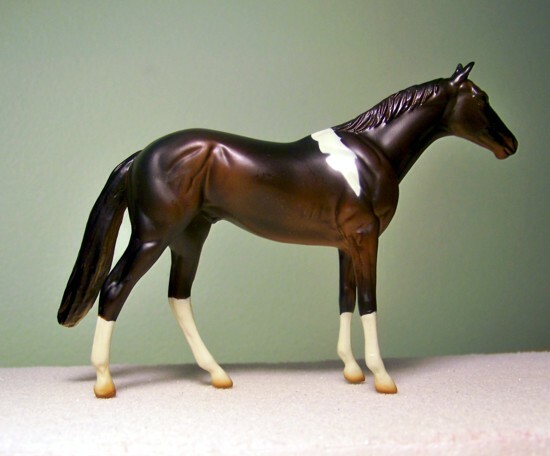 Sire of 8 Quarter Horse ROM, $20,274; and the above mentioned 2 paint mares. A son of all-time leading sire of ROM, EASY JET SI 100. World Champion, stakes winner of 27 races, to 3, $445,721. Sire of 1563 ROM, $26,231,441, 145 stakes winners, including EASY DATE SI 107 (World Champion, $849,709), PIE IN THE SKY SI 101 (Champion, $616,328), MY EASY CREDIT SI 99 (Champion, $505,503), MR TRUCKA JET SI 103 ($1,033,115), etc. All-time leading broodmare sire of the dams of 2,490 ROM, 198 Stakes Winners including EASTEX SI 106 (Champion, $1,869,406), TAKIN ON THE CASH SI 109 (Champion), etc. - LOOK OF DREAMS, the # 6 lifetime leading dam of paint horses by money earned. Dam of 16 foals, 9 to race, 7 ROM, $112,123, including stakes winners, Superior race horses, Champions, and World Champion.